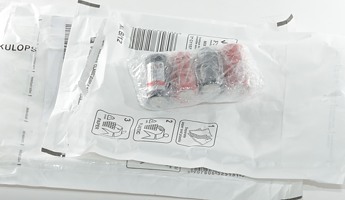 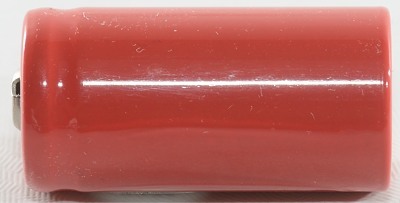 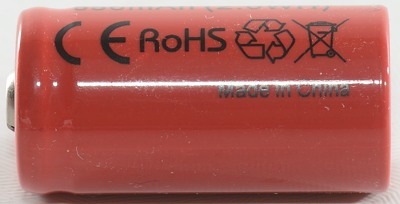 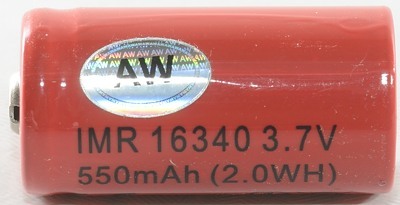 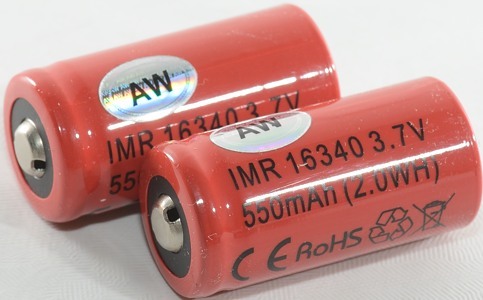 The old classic IMR battery in CR123 size. 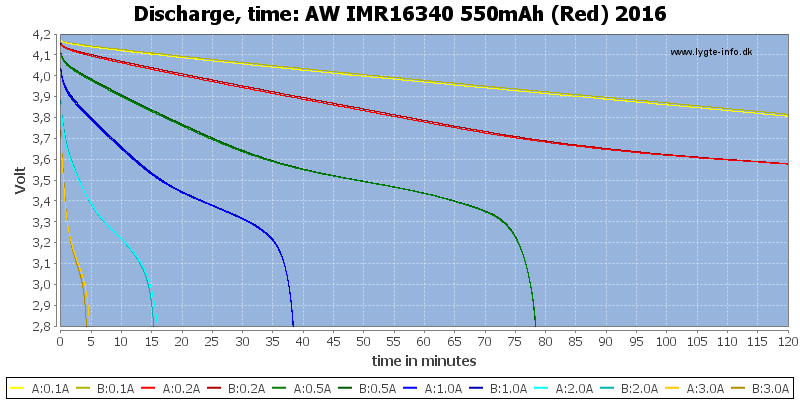 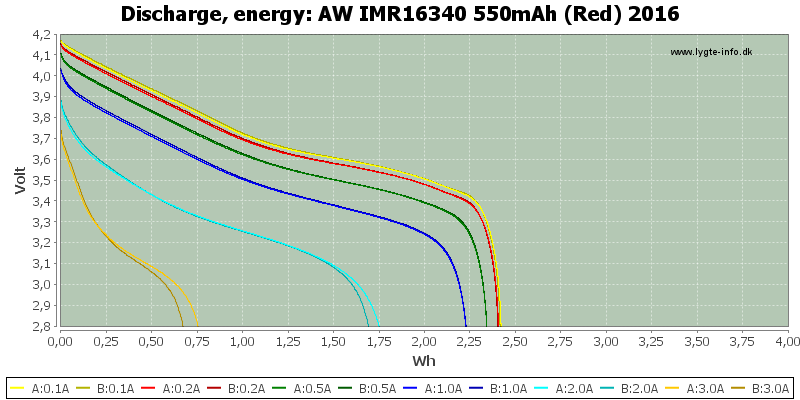 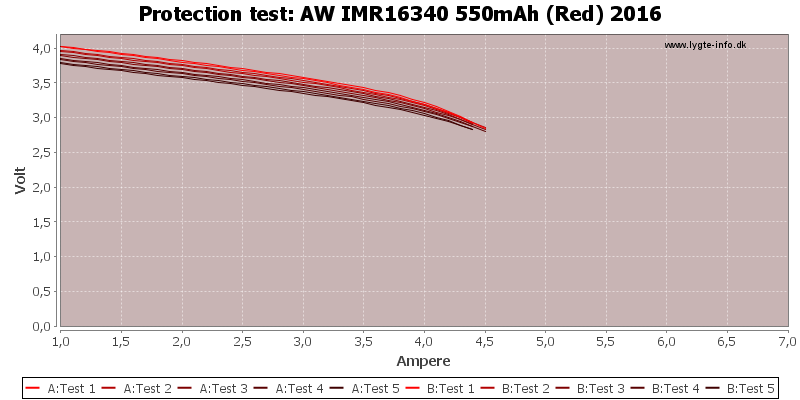 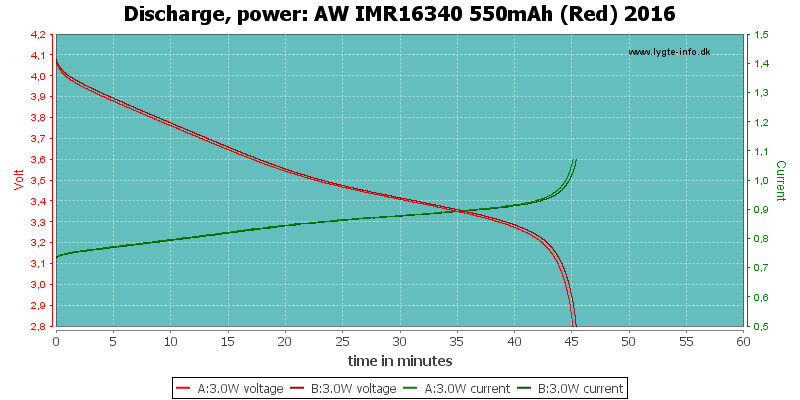 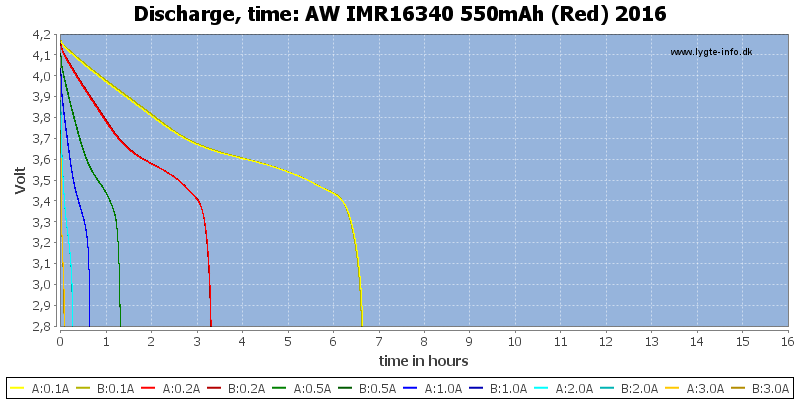 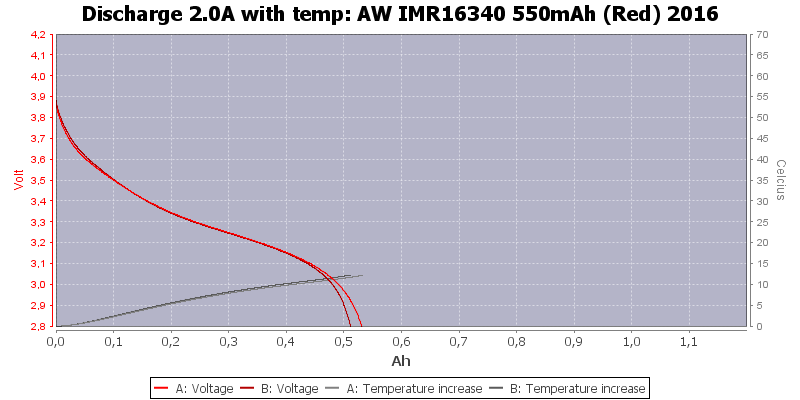 Discharge curves look fairly good, the battery can easy deliver 1A, but not much more. 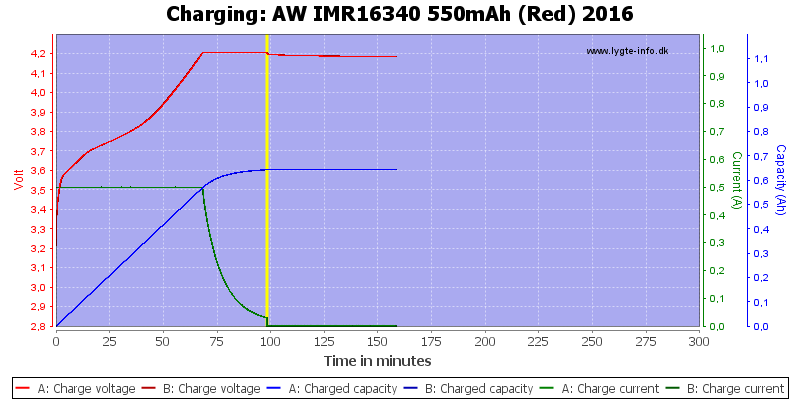 Surprisingly the capacity is larger than specified. 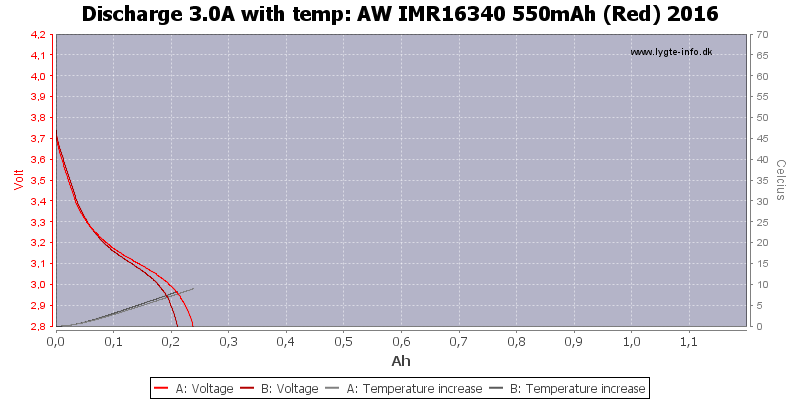 The battery do not really have time to get hot. 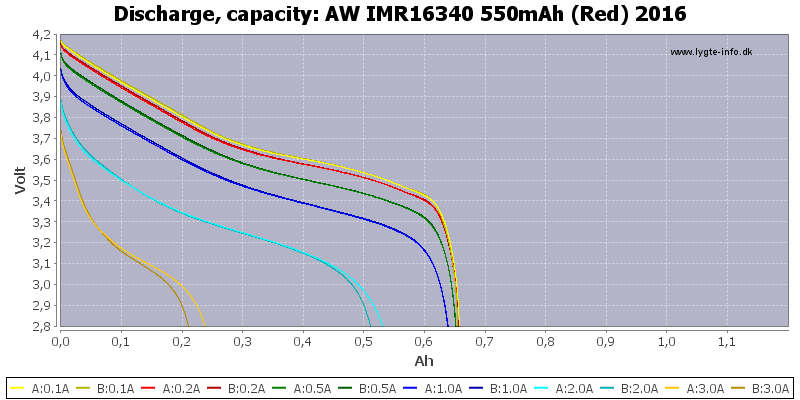 The cell do not handle high currents very well, but has lot of capacity. 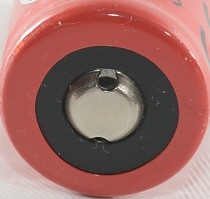 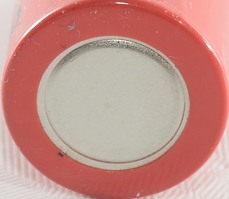 Using the comparator it looks like the same cell that is used in the protected battery.